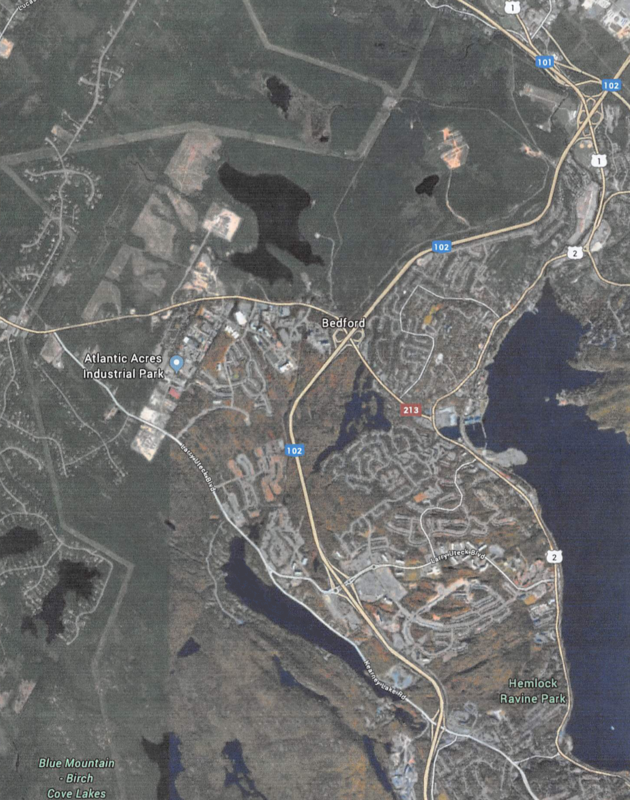 There are two Sandy Lakes on Hammonds Plains Road in Halifax Regional Municipality (HRM). One is located in Glen Arbor and is sometimes called ‘Little Sandy Lake’. The other nearer the Bedford Basin is sometimes called ‘Big Sandy Lake’ or ‘Sandy Lake, Bedford’. This website refers to the latter – Sandy Lake, Bedford – hereafter referred to as ‘Sandy Lake’. Sandy Lake is a part of the Sackville River watershed and is a headwater for Peverill’s Brook and ultimately the Bedford Basin. It is located between the thriving communities of Bedford, Sackville, Kingswood and Hammonds Plains. Sandy Lake can be accessed via Smith Road (off Hammonds Plains Road). That access point is the location of the Bedford Lions Club’s supervised beach (in summer), with lots of trails off the beaten path, full bathroom/changing/picnic facilities, and a popular off-leash dog walking area.